Fine dining restaurant serving modern British cuisine with emphasis on produce driven food. Food and wine excellent, all the staff were terrific. Pleasant atmosphere if a little noisy when the restaurant was full, but not a major issue compared with other venues with which we are familiar. I found the chairs very uncomfortable (digging into my back) but my wife didn't have this problem. On the whole, a great experience and we'll be back! The setting was gorgeous and so was the food. The hay dessert was amazing. I would really recommend for a special occasion. Great service and great food! Had a fantastic time at the Alchemellia, and the vegetarian courses were very creative. The chef has a plating style of neatly arranging extra garnishes/sauces on the sides. It makes for very pretty plating, and allowing for different flavours to be highlighted on a single plate. Requires very careful planning to make sure each of the combinations work, so hats off to chef. Went as a party of 2, where we had the 7 course meal. My companion had the vegetarian option. Both of us enjoyed the food, where we both especially liked the "Celeriac cooked in goat's butter". The way it was prepared like a tart with all the garnishes was very unique. The palette cleanser was great and should be make into its own dessert, the yuzu icecream covered in meringue was brilliant. The sour notes of the yuzu combined very well with its sweet shell. For desserts, I especially liked the salted liquorice ice cream and beetroot sorbet. I don't usually like liquorice but I couldn't get enough of this one, loved it. The beetroot sorbet was fascinating! It was sweet but had a savory aftertaste, my mind was blown from that. A few things which could be improved for the future, the "BBQ shitake" starter was a bit over salted. The mushrooms were salted just right, and the sauce was also salted just right. However when they are mixed together, it became too salty. The ice cream desert which I liked, the chocolate gelato was too over powering. It didn't compliment the other flavours on the plate. Overall, had a fantastic time and I hope to come again when the season changes to try out a new menu! We came to find out what the fuss was all about, expecting fancy nibbles of exotic stuff rather than a meal to remember. We left full up from all the supremely tasty delights served with enthusiasm and flair. Having ordered the 5 element menu we got so many extra items we lost count. We loved the food and the service, and we will return! Excellent experience day in the kitchen followed by fantastic food and drink for a very professional group of staff. I would highly recommend and will be dining again there in the near future. Fantastic food quality, as usual, the staff are friendly, welcoming and attentive. Overall just an amazing dining experience, thank you! Having eaten at various Michelin starred restaurants around the world, my wife (vegetarian) and I are quite hard to impress. They have all been between very good and delightful, staffed by very well trained efficient staff. At that level the difference between good and exceptional turns on very small details. Alchemilla fits comfortably within and towards the very top of that esteemed group, ahead of say Le Manoir aux Quat’ Saison (based on our experience thereof) and even possibly beating The Ledbury this February. Everyone we encountered during our 10 course lunch (just over 4 hours) at Alchemilla last Saturday was delightful. Well trained but not simply reciting a script; personable and interactive, without bombarding us with extraneous detail (a common failing of sommeliers – they know so much and need to tell you all of it) and having an occasional laugh while being utterly professional; courteous and efficient, with nothing too much trouble. Having visited a few times before we had not yet made the leap to the full 10 course tasting menu (5 and 7 courses are the alternatives, as per the clear website) with a flight of wines to match each course. We made that leap and had one of the best and most enjoyable tasting menu experiences we have ever eaten anywhere. There is an assured calm about Alchemilla, which enabled us to simply relax into a culinary journey and trust that everything will be lovely, with no need for any unnecessary interventions on our part. Being gin fans for many years we normally go for an artisan gin with tonic before a meal, but as it was a special occasion we went for prosecco while perusing the menu. They’d remembered my wife was vegetarian and produced her own version of the menu with a number of bespoke courses and some the same as mine (incidentally they can do a vegan tasting menu by prior arrangement). No lazy “just switch the protein for another vegetable and that will do” approach that we’ve encountered in a few high-end restaurants elsewhere. Fortunately one that she really wanted to try was only on the 10 course menu, which sealed the deal. And given the added dimension that we know matching wines can bring, that was no-brainer. We were sat a long way from the open kitchen so could only hear the eclectic and perfectly judged background music, which was a very pleasant mixture of Radio 2 playlist and slightly more indie anthems that was loud enough to enjoy but not intrusive. I think I heard one machine from the open kitchen once, but that did not last long, being the only audible blip during our meal. We loved every dish and every amuse bouche (a sequence of 3). Some were outstanding but all were very good or better. Huge flavour with challenging combinations that produce a “wow”, laughter  or closed eyes, which are basically our goal in any tasting menu. The chocolate, liquorish and beetroot desert was outstanding, but then so were a number of other courses too. When the temperature dropped slightly (the sun was no longer coming through the skylight) we mentioned it and the heating was turned up immediately. Everything we saw or touched was easily to Michelin star standard (it is hard to remember that this place does not have a Michelin star - yet - but it does have 3 AA rosettes and a glowing review from Grace Dent from the Guardian). Lovely crockery, cutlery and glass wear. Each plate was a work of art and all of the component parts worked harmoniously together. The bread was lovely too and a second slice was certainly no problem. And despite having 10 courses, 3 savoury amuse bouche, 1 sweet amuse bouche we left full but not stuffed – quite hard to judge across 14 individual items plus bread and a lot of wine. The young and immaculately presented staff were delightfully enthusiastic in their delivery of the many dishes while still remaining entirely professional, describing the various complicated dishes faultlessly and also clearly (most visits there were 2 dishes to describe because my wife was having her vegetarian alternatives). I like it if a member of staff says that a dish is one of their favourites or we have a joke about something along the way, such as a new set of cuttlery after our final course rather than the bill, implying we were going round again; it makes it a unique experience. Water was replenished almost invisibly. The young sommelier did a fantastic job, displaying huge but relevant knowledge that could not just be the product of learning by rote. She asked my wife if she would like to switch one of her matched wines (tailored to her vegetarian menu) to one from India (who knew India produced wine?) which she felt was an even better match than the listed one. But unlike The Ledbury in February, at Alchemilla we were told exactly why a wine would complement the dish, based on characteristics and flavours we recognised and understood, rather than lots of extraneous detail about winemakers, regions and soil that told us nothing about why it works as a pairing. And they were, without exception, very well matched. Generous servings too – we were quire tipsy when we left after 10 glasses each, which was our (my) goal. Given the quality of the food, wine and service the bill was very good value, starting with a 3; at The Ledbury it started with a 5, for fewer courses and they were not dissimilar experiences. For over four hours of foodie enjoyment for two people, ending full but not too full and far from sober, that is cracking value for money in my humble opinion. Alchemilla is without doubt the best Nottingham restaurant apart from Restaurant Sat Bains, which has two Michelin starts and is significantly more expensive. For my wife and I they do everything just as we like it and how we want our fine dining to be anywhere in the world. The demise of the over-rated Hart’s (which I have reviewed a number of times) can only be to Alchemilla’s benefit, although please note that the two are not directly comparable - World Service is more of an equivalent to Hart’s, if you like 3 courses rather than 7 or 10. 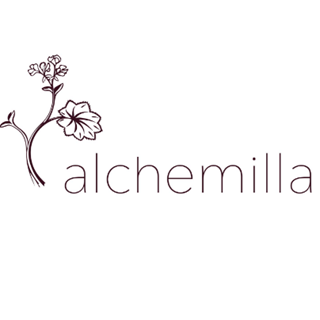 If you like modern innovative tasting menus (a la Sat Bains, L’Enclume in the Lake District or AOC in Copenhagen) then go to Alchemilla before it gets its inevitable Michelin star, resulting in 3-month booking in advance and an increase in prices. It thoroughly deserves that accolade. I am hoping that my wife will take me here for my birthday in August, by which point the highly-seasonal menu will have evolved again. Fingers crossed. Amazing just amazing. The food was superb the staff were so attentive and informative. Beautiful surrounding .... wonderful way to celebrate our boys 18th. 2) the door to the loos doesn’t shut automatically and they’re busy! So when sitting in the bar, I spent quite a while staring into them, which isn’t so nice. Food amazing but the price of alcohol was extremely expensive! This did put a down spin on our night as it was a celebrity meal and wanted to relax but all we kept thinking about was how much the bill will be because of the drink! Exceptional evening in every way. 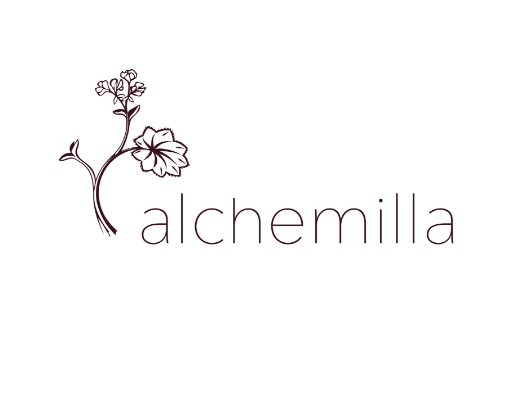 I cannot recommend Alchemilla highly enough. Staffs knowledge of both food and wine is up there with the top restaurants in the country. Would recommend a visit for a great night in a buzzy restaurant, serving wonderful cuisine, with first class service⭐️⭐️⭐️⭐️⭐️!! Amazing food and wine - always a taste sensation. Service from the team was excellent, attention to detail and the sommelier has a lovely talent at describing and talking through the array of wines. We enjoyed our evening and were impressed by how you managed our various food requirments. Overall, the dining experience at Alchemilla was very good and easily one of the best restaurants in Nottingham. Lots of skill, flavour, and attention to detail was evident in all aspects of the food and the dining room had a pleasant atmosphere. Service was welcoming and very attentive, yet not too obtrusive. The Sommelier was knowledgable, but at times felt a little 'rushed', however, all the wines were fantastic and there was not one poor matching during the entire 'flight' (10-course pairing). Stand out dishes were the eel and potato, hogget/venison and the toasted hay and apple. The final dessert of strawberry and chamomile we all felt was a little too sweet...That being said, this does not detract from the entirety of the meal. Will recommend highly to fellow foodies! Thank you. An incredible experience, the delicacy and texture of the dishes was beautiful and the wines were superb and well matched.